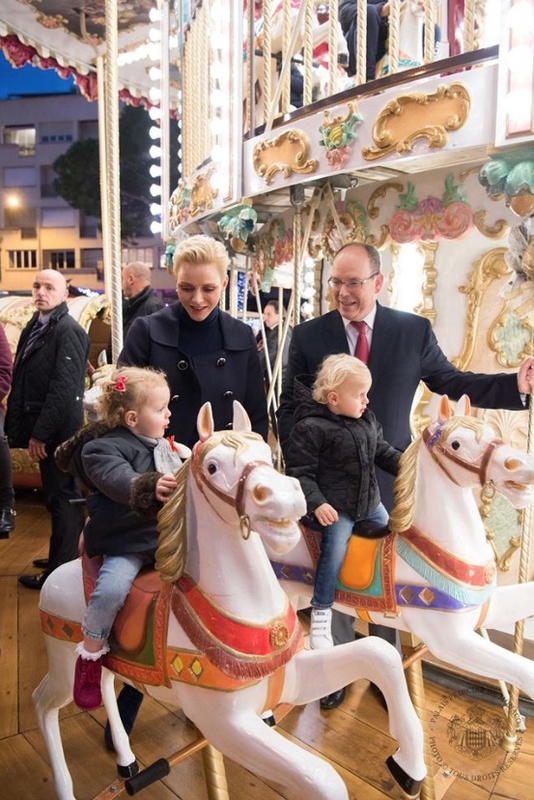 On Saturday, December 3, 2016, Their Serene Highnesses Prince Albert II and Princess Charlene of Monaco accompanied by their two children, HSH Hereditary Prince Jacques and HSH Princess Gabriella, the Archbishop of Monaco, Monsignor Bernard Barsi, the mayor of Monaco, Mr. Georges Marsan, Baroness Elisabeth Anne de Massy and her daughter, Melenie, attended the opening of the Village de Noël at Port Hercule in Monte-Carlo, Monaco. The theme of this year’s Christmas village: Les Douceurs de Noël. 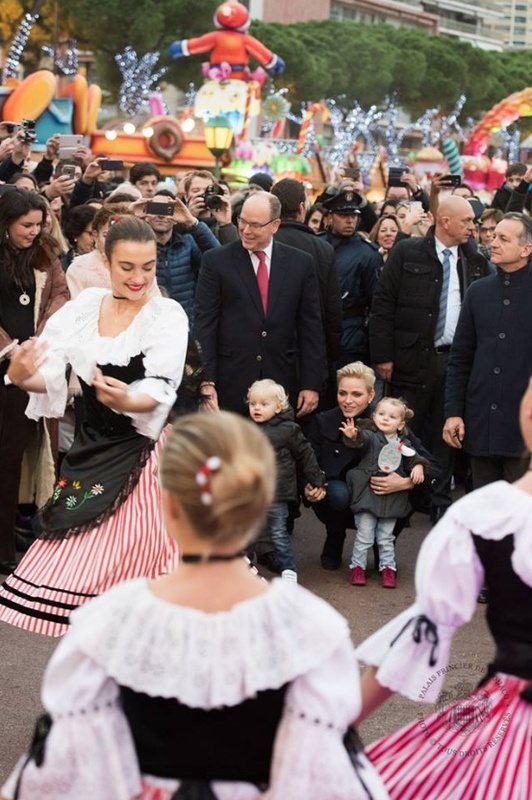 The Village de Noël will be open to the public until January 2, 2017. 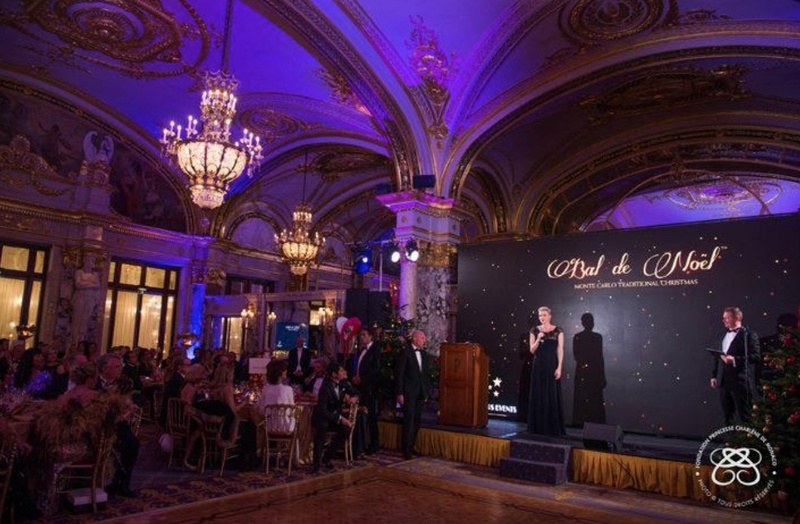 Later in the evening Princess Charlene attended the Bal de Noël held at the Hôtel de Paris in benefit of the Fondation Princesse Charlène de Monaco. Over 65,000 Euros was raised during last Saturday’s event. 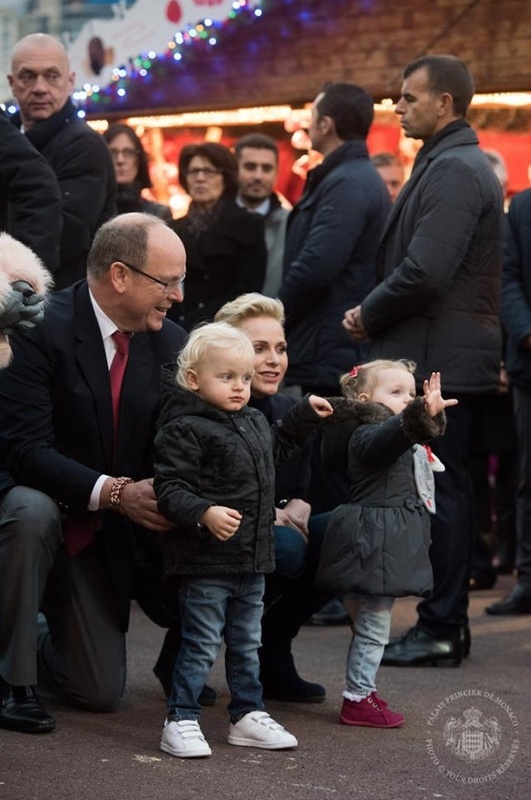 Previous (VIDEO) Members of the Princely Family in Monaco Attend a Charity Auction. Next (VIDEO) Habsburg Privat: A Documentary.